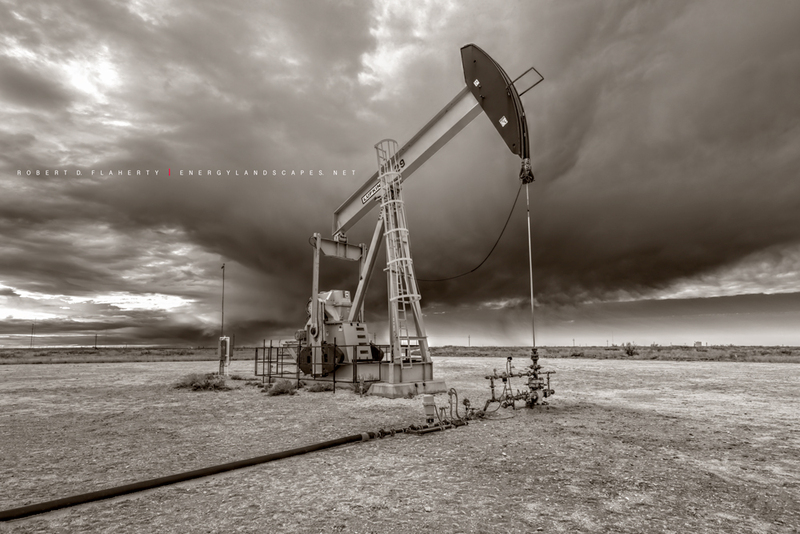 Dark Energy features an Oxy USA pumpjack pumped off before an empending winter storm on the high plains of Eastern New Mexico. The image is a high resolution fifty megapixel photograph in sepia toned black & white. A perspective control lens normally used for architectural subjects allows all points near to far to be in perfect focus. Fine Art Oil & Gas Photography By Robert D. Flaherty. Photo © copyright by Robert D. Flaherty.